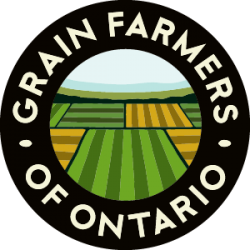 GUELPH, ON (February 1, 2019) – Grain Farmers of Ontario, the province’s largest commodity organization, representing Ontario’s 28,000 barley, corn, oat, soybean and wheat farmers, today congratulates Ernie Hardeman, Minister of Agriculture, Food and Rural Affairs and his team on new changes to the Commodity Loan Program announced today. 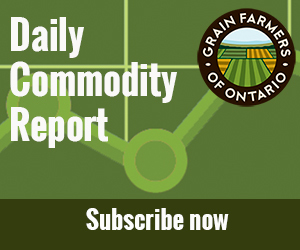 ST. ISIDORE, ON (January 23, 2019) – Grain Farmers of Ontario, the province’s largest commodity organization, representing Ontario’s 28,000 barley, corn, oat, soybean and wheat farmers, today announces new research funding has been achieved for the national Corn Project and national Oat Project. This new funding, along with last week’s announcement of research investment dollars for the Soybean Cluster, brings more than $14 million to research projects that will greatly benefit grain farmers in Ontario. GUELPH, ON (January 17, 2019) – Grain Farmers of Ontario, the province’s largest commodity organization, representing Ontario’s 28,000 barley, corn, oat, soybean and wheat farmers, commends Ernie Hardeman, Minister of Agriculture, Food and Rural Affairs, for initiating the ask for federal government support through the AgriRecovery program.